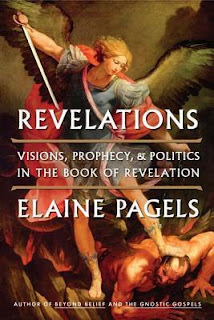 I recently read "Revelations: Visions, Prophecy, and Politics in the Book of Revelation" by Elaine Pagels. It was excellent! The author described major events of the time Revelations was written in Rome, Israel, and the birth experiences of a new religion called Christianity. Her writing was backed by solid facts -- almost a third of the book consisted of the bibliography. I wish I had read this book earlier in life -- I would have better understoood its meaning.